﻿﻿﻿﻿﻿Inverted or reverse sneeze syndrome is characterized by a series of rapid, loud, forced inhalations through the nostrils, lasting anywhere from 10 seconds to 2 minutes. Attacks occur on a sporadic, unpredictable basis. Dogs usually have the head extended forward and stand still during the episode. Affected dogs appear completely normal before and after the attack. There is no loss of consciousness or collapse, though sometimes the appearance of the dog is upsetting to owners. Many dogs have these attacks throughout their lives. The exact cause of inverted sneezing is unknown, but it may be associated with sinusitis and other respiratory disorders. 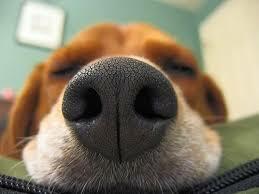 Many believe affected dogs are consciously removing mucus from the nasal passages. In fact, many dogs swallow at the end of the attack.